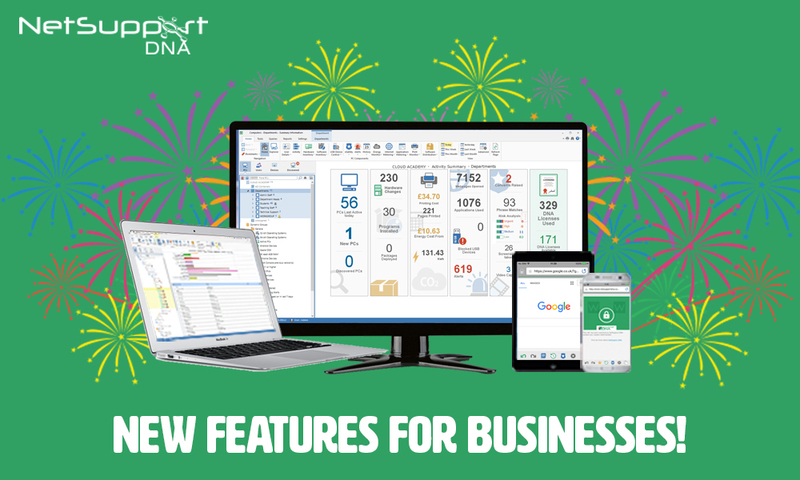 To celebrate NetSupport’s 30th anniversary of providing award-winning IT management solutions, a bundle of new features has been added into its IT Asset Management solution, NetSupport DNA. Building on the already comprehensive features in NetSupport DNA, this latest release (4.7) contains a host of enhancements and added platform support to make it indispensable to IT managers as they monitor and manage all technology across a company. Extended features in version 4.7 include enhanced software distribution, endpoint security with encrypted drives, user tracking, custom searches, enhanced device inventory, centralised remote management and much more. Alongside the existing Windows, Mac, iOS and Chrome support, NetSupport DNA now allows businesses to monitor and manage Android device activity. It provides IT technicians with the tools to gather a full hardware/software inventory from Android devices, enables real-time monitoring via thumbnail views and includes chat and message features. Meanwhile, its Mac support which already provides inventory and real-time monitoring, now includes improved deployment using third-party tools such Apple Remote Desktop – making it even easier to set up and configure Mac devices.